frowned when asked if anything positive had come from the day. depend on their cashflow coming correct.”…read more .. THE Gucci Group has filed a lawsuit in Florence against Elisabetta Gucci, following news that she had plans to develop hotels in Dubai. Elisabetta is the daughter of Paolo Gucci and the great-granddaughter of Gucci founder Guccio Gucci. Having worked for the family business until 1995, she has since become artistic director of luxury furniture distributor Formitalia Luxury Group, founded by her father. The businesswoman plans to open an 87-suite hotel in Dubai’s Media World district by the end of the 2010 – according to a report from Lorens Ziller, managing director of her EG Hotels company, to Bloomberg. DUBAI // Plaintiffs who claim they have been defrauded of more than Dh1.2 billion by a property developer have asked that the dismissed charges against the company be reinstated. The 36 investors want the Dubai Court of Appeals to reopen the case against Dynasty Zarooni that public prosecutors had declared groundless. They claim that flawed investigations were conducted by prosecutors. Two cases were filed by the plaintiffs last year against the company, its Indian chief executive Kabir Mulchandani, his Emirati business partner and managing director Hilal Zarooni and the British executive R G.
The first case, which was referred to court, charged the men with setting up a bogus investment portfolio and defrauding investors of Dh893 million. 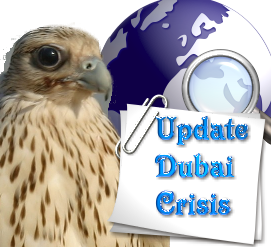 The Dubai Court of Misdemeanours acquitted them on all charges on May 30. The court reached its verdict after the defence presented documents that proved contractual agreements between the investors and Dynasty Zarooni. The documents showed that the investors had received more than Dh232 million in profits from their investments. The second case alleged that Kabir Mulchandani and his co-defendants committed a property fraud by selling investors plots of land that did not exist. Prosecutors dismissed the case after reviewing a report by a property market expert they assigned to investigate the allegations. Lawyers of the law firm representing the plaintiffs, Al Sha’ali & Co, told the appeals court yesterday that the second case had been dismissed illegally. They claimed that prosecutors had combined unrelated police complaints filed against Dynasty Zarooni into one case and had failed to investigate the property fraud properly. The lawyers held that the escrow accounts registered to the company were not investigated and did not exist. They claimed contractors( Al Fajer Properties) presented by Dynasty Zarooni as the builders of their Ebony and Ivory towers testified under oath that they had not taken part in any construction projects with the company. “Three contracting companies have testified to prosecutors that they only signed agreements with Dynasty Zarooni but have not conducted any business with them,” said lawyer Mohammed Safwat. A separate case has been filed against the property expert who conducted the initial investigation, according to defence documents presented in court. The documents allege that the expert had not conducted his evaluation properly and was legally bound to be prosecuted. The court was also asked to present a different court-appointed expert to review the case. The court will hear from the defence on July 22. Niki Lauda macht den großen Boxenstopp in Dubai – und das ausgerechnet bei Alternative Capital Invest (ACI). Ob er oder andere Sportgrößen wie Boris Becker und Michael Schumacher noch einmal ihren guten Namen für diese Gesellschaft hergeben würden, ist höchst zweifelhaft. Denn für ACI, einen Anbieter von Dubai-Immobilienfonds mit Sitz in Gütersloh, interessiert sich inzwischen die Staatsanwaltschaft in Bielefeld. Sie ließ Ende Juni die Geschäftsräume von ACI durchsuchen – wegen des Verdachts auf Kapitalanlagebetrug. Für sieben Fonds hatte ACI laut Analysehaus Feri rund 210 Mio. Euro eingesammelt. Die Zahl der Anleger beziffert ACI selbst auf mehr als 6 000. Die Firma war damit Marktführer unter den Dubai-Fonds, in die nach Angaben von Feri insgesamt rund 700 Mio. Euro investiert wurden – von schätzungsweise 20 000 Anlegern. Nicht nur die ACI-Kunden werden von ihrem Geld wohl nur einen Bruchteil wiedersehen – das zeichnet sich schon jetzt ab. Dieses Modell verfolgte auch ACI. In dem im Juli 2007 aufgelegten Prospekt für den Fonds VII warb ACI zum Beispiel damit, dass der erste Fonds prospektgemäß aufgelöst worden sei und die Immobilien der Fonds II bis V verkauft seien. Heute gibt ACI-Chef Hanns-Uwe Lohmann zu: “Der bereits Mitte 2008 von der ACI eingeleitete Gesamtverkauf der Fonds II bis V an die Firma Yama scheiterte auch daran, dass der gesamte Immobilienmarkt in Dubai zusammenbrach.” Anlegeranwalt Hartmut Göddecke vermutet andere Gründe: “Die Grundstücke gehören offenbar nicht einmal den Fonds”, sagt Göddecke.